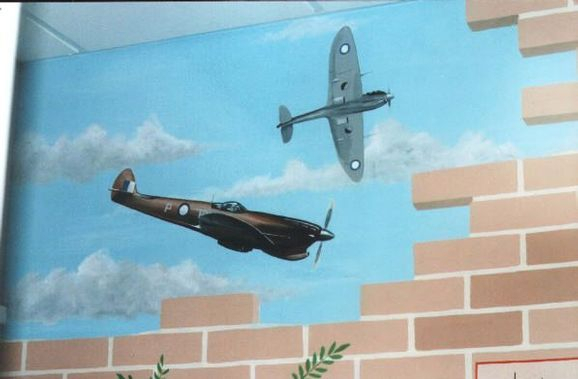 This 24ft mural was painted in a retirement home in Kent. 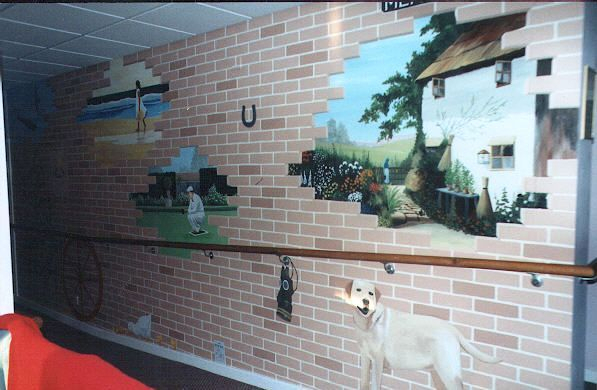 This was a plain wall leading into the sitting room and it is based on memories of the residents which I gathered by talking to them. 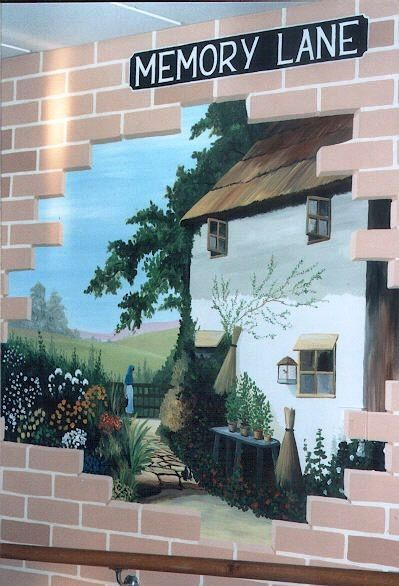 The idea was to paint it to look like brick wall with holes in it, and through each hole would be a different memory, but I gathered so many memories that the whole wall was festooned with objects that meant a lot to the residents. There were gas masks and ration books alongside Wysteria and little ducklings and all kinds of other things. One of the ladies used to live beside the sea when she was a little girl and that was important to her. Cottage gardens were also a common memory. 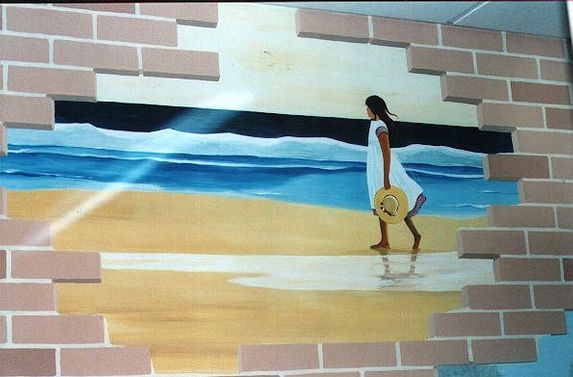 This whole mural took 14 days to complete. There was no charge for gathering the memories, even though this took nearly as long as it did to paint it!